Since 1999, R & R Container Service has provided our residential, commercial, and industrial customers with superior, professional, and friendly roll off containers and waste management services. Located in Acworth, GA and serving the surrounding areas, we are proud to be a locally and family owned and operated company with customer satisfaction as our first and only priority. We operate R & R Container Service on the basis of honesty, integrity, and prompt, professional service. 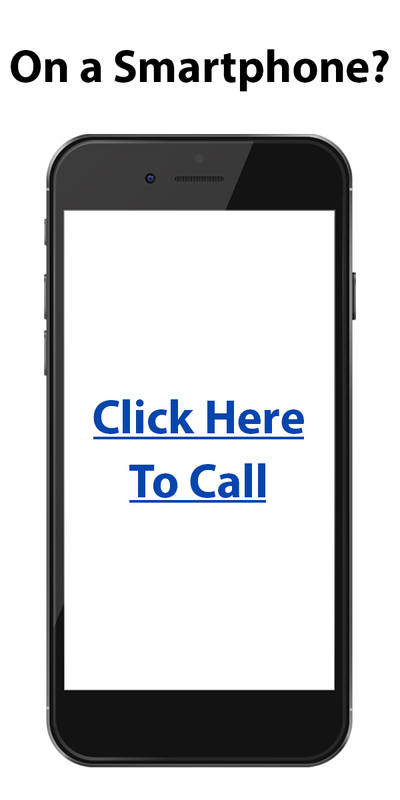 We gladly offer free, fast estimates and quotes over the phone. 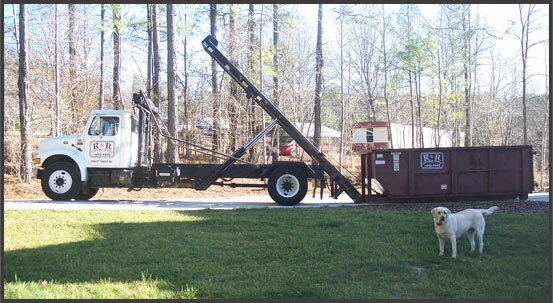 Our dumpster and container rentals are top-notch because of the service and convenience we provide for each and every customer. Call us today to find out what makes us your first and last call for all your waste management, garbage, or refuse hauling needs. Container Services – Offering Dumpsters and roll-off containers for residential, commercial and industrial use. Container Dimensions – View our 12-yard and 15-yard container dimensions for your rental. Hauling Services – Perfect for house clean-ups, seasonal refuse, demolition, and more! Our affordable prices are based on your needs. Not enough refuse to fill our 12 cubic yard container? Don’t worry. We will charge you for only the space you use. Call R & R Container Services for more information. Dumpster rentals and haul-away services for all your garbage and waste: Appliances, Furniture, Household Junk, TV’s, Remodeling or Roofing Debris, Yard Clean up and much more! Prices that can’t be beat from a local service you can trust. We are proud to offer services in Acworth, Woodstock, and more. We provide services within a 20 mile radius of Acworth, GA, where we are based. Excellent service. He delivered the container at the time we agreed upon & called to see if I needed additional time. I highly recommend R&R for anyone who needs a container. Glad to tell my friends & neighbors about this company. R&R does business the old fashioned way, with a smile & a hand shake. Best Dumpster service ever!!! Brian was very quick to deliver and stayed in touch!! Prices are reasonable and allowed us to keep longer than expected. Thanks for the great service. We HIGHLY recommend this dumpster service!!!! We have used R & R Construction several times & we’ve always been very pleased with everything about their service. Brian was very polite & put the container(s) exactly where we needed it. He’s been prompt, on time, & picked up when we needed the container(s). I am very impressed with how professional, prompt and understanding Brian was. My situation required an extended amount of time because I was filling the container by myself and, an extended rainy season meant I kept the container a very long time. Brian never hurried me or made me feel like I was an imposition. I will need another container in the spring and will not hesitate using R & R again at that time. I have used R & R Containers twice in the last year. Bryan offers top notch customer service and helped me determine the container size that would work best for both of our demo jobs. I recommend R&R for anyone who has a dumpster/hauling need and I will definitely be using R & R again when it comes time for our next home project. We had a great experience with R&R. Our container was delivered immediately and picked up right after we called to say we were through with it. Brian was easy to work with. I highly recommended them. I know we will be calling when we start on our next project. Thanks Brian! I needed a dumpster fast and I had one in 3 hours! Amazing. Great customer service too! I called several places to get a dumpster, but Brian was the only one who seemed to really want my business. He communicated as promised and made sure that I was happy with the transaction. I highly recommend R&R Containers. The best customer service and professionalism in all that I have encountered. Brian will provide you with what you need for your discarding of trash and clutter. The best decision in a service I have made all year! Thanks to the Netflix show..”Tidying Up”… my motivation to fill a 15′ rolloff dumpster was fired up. Clean, quick, and dependable. Thanks R&R Containers for assisting in the haul off! I called R & R Container Service because of 5 star reviews and I got 5 star service. Thanks Brian! Brian was very easy to work with and his work ethic was exceptional. He delivered the container on time and picked if up as soon as we called him. We highly recommend this business and owner. I had a pile of yard debris and construction material ready to go. Called them and they were able to come out the same day. Brian even helped me load it up and we got it cleared in no time. Fair price, flexible, and a pleasure to work with. I’ve gotten 5 dumpsters in the last 9 months and couldn’t be more pleased with Brian’s professionalism and upbeat attitude. He was always punctual and courteous . I am a customer for life and will continue to recommend him whenever possible. These guys are the greatest!!! Worked with Brian for a dumpster, he is the most accommodating individual I have had the pleasure to work with. We needed a little extra time for the dumpster and he couldn’t have been any more helpful. If your looking for a dumpster I would highly recommend R&R. THANKS BRIAN!!!!! Great service, great people! I highly recommend them. R & R offers top notch container services and has great pricing. Would recommend them to anyone.